Glyn Hopkin’s recent purchase of Nissan Cambridge from Marshall Motor Group means it is now the largest retail partner of Nissan in the UK. 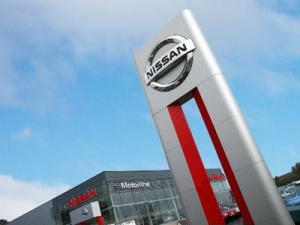 The Cambridge site brings the total Glyn Hopkins Nissan dealerships in the South East to 13, and is its first acquisition in Cambridgeshire. Glyn Hopkins will operate the site as it is until the start of 2015, when construction of a new, larger facility will be completed. The opening of the expanded site will require an updated combined motor trade insurance policy. As the new dealership will house more cars, equipment and a new purpose-built building all these additions will require cover to protect against damage or losses. Managing director at Glyn Hopkin Fraser Cohen told AM-online: “This acquisition is in line with our strategy to expand and strengthen our relationship with our core brand partners, including Nissan and Fiat, with whom we have incredibly strong and successful long-term partnerships. The new facility – which work will begin on in October - will also house a Fiat and Jeep dealership.